A wide range of experts will present data and analysis about ocean risk and encourage participants to develop new ways of addressing its consequences, including (from left); Peter Thomson Special Envoy for the Ocean, United Nations; John Podesta, Distinguished Visiting Professor, Georgetown University Law Center; and Dr. Maryam Golnaraghi, Director Extreme Events and Climate Risks Programme, The Geneva Association. As society begins to see more evidence of global climate change—a rise in ocean temperatures and acidity, an increase in both the number and frequency of extreme weather events, and declining glaciers and Artic Sea ice, among other trends—coastal communities around the world are seeking ways to identify and mitigate the risks posed by a rapidly changing ocean. Doing so will require the knowledge and skills from experts in a wide range of fields, including risk analysis, oceanography, environmental security, and law. This May, leaders from political, economic, environmental, and risk sectors will meet in Bermuda for the first Ocean Risk Summit, sponsored and hosted by XL Catlin. Over the course of two days, participants will examine the challenges and risks posed by ocean change and identify opportunities for innovative approaches to building resilience and developing applied solutions. Bill Curry, BIOS president and CEO, will give a talk on “Ocean Change – a Bermuda Perspective” that will highlight the island’s history and geography, as well as the need for future preparedness. “I’m excited to be a part of this international summit to help develop understanding about ocean risk and drive innovative tools, technologies, and scalable solutions to building resilience,” Curry said. 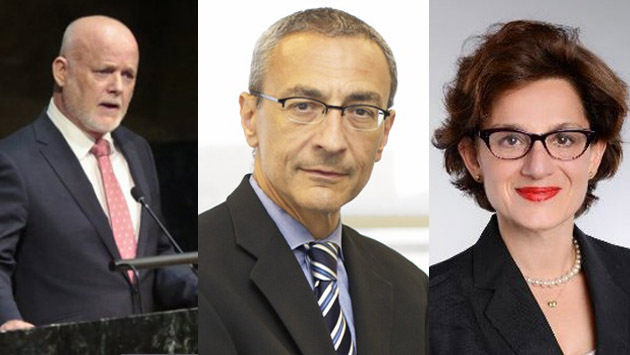 Other featured speakers will include: Prince Albert II of Monaco; John Podesta, former counselor to President Barack Obama and White House Chief of Staff to President Clinton; Peter Thomson Special Envoy for the Ocean, United Nations; and Craig McLean, chief scientist, U.S. National Oceanic and Atmospheric Administration. The event will include a variety of presentations, opportunities for networking, case studies, breakout sessions, and panel discussions. Registration for this event is now open, and interested individuals from non-governmental organizations, government, charities, and academia are encouraged to participate. Further information, including registration instructions and a full event schedule, can be found online at www.oceanrisksummit.com/.